Home Science - Religion Science religion or both? Before of the advent of Darwin's theory, Christianity lived a period of peace. After the winds of crusades and the wind of apostasy that many divisions had done, and especially after the dark ages of the holy inquisition, the Christian had the surety that the scriptures contained the undisputed story of the whole human history, regardless of his faith or beleif. Darwin came like lightining in a peaceful day, sudden and terribly disastrous. 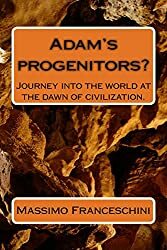 Even though all, or almost all know the story, it is important to analyze the impact that his theories, although totally unproven, had on Christianity of his time and on that future. Truly Darwin was not the first scientist to have a problem with religion. Galileo had big troubles in maintaining that the earth was going around the sun. He had to publicly change his ideas even though they were correct. After Darwin's theory begun to came out the fossils. The dinosaur fossils posed great problems, not only because they were a species not contemporary, according to scientists, the mankind. But above all because the new methods of dating, discovered few years later, gave their age in millions of years. The whole Christianity should find an explanation for the famous six millenniums of the creation, or the human history given by the Bible. This conflict would have created deep divisions between science and religion. As it always happens in these cases there are the radical defenders of faith and the others that are trying to find a arrangement. Even in the different churches the conflict was evident. Science urged by proofs and religion answered with faith. I was never interested personally in this topic, in my early years I never thought about it. When I became a believer surely I pertained to the radical wake: No fallen, no atonement! I never sincerily pondered the problem. I did read the writings of Joseph Fielding Smith and I found them perfect, the problem arisen by the dating or by the fossils was jumped by faith. D&A 93:36 "The Glory of God is intelligence". With this knowledge it is hard to avoid to acknowledge science as an important element in our life. The scriptures, especially Doctrine and Covenants are full of encouragement to study in every field. Let's analyze some verses related to it and we will see why the church of Jesus Christ of latter day saints differs by far from any other churches. D&A 88:40 "For intelligence cleaveth unto intelligence;"
With this on mind it is impossible for a faithful saint to neglect science and its discoveries or theories. The prophet Joseph Smith was the first and the only one leader of a Christian church to explain that creation was not by nothing (Ex nihilo) but from an organizing power to form an existent matter . He stated a principle that the same science takes for true:"Nothing can be created, nothing can be destroyed." The fact that mother earth could be millions of years old doesn't' bother the saints at all. Instead this is a big smash for the other churches. They believe that the earth was created from nothing just a few millenniums ago, and this put them in a battle with science. Before going futher I'd like to explain how I made this page. A month ago a kind student of Milan's university, Italy, took a look, by chance, to my Italian page "Evolution or fallen?". He wrote me a nice letter in which he gave me his viewpoint on the matter. With politeness he said that it was not possible to deny the evidence of evolution. His letter made me think on this topic. Like I stated before, I never went deeper on this because I have a testimony of Jesus and His atonement, therefore I didn't accept the evolution. This letter gave me the opportunity to get closer to the topic and I begun to explore the matter more deeply. I didn't have any prejudice while I was taking care of the problem. I am grateful to the official declarations that the church made on different occasions. They never fought against evolution. They maintained that the Fall and Atonement are real ,but they didn't express any official declaration against evolution. You can read the official declarations on this web. "In these respects we differ from the Christian world, for our religion will not clash with or contradict the facts of science in any particular." "Science and true religion never can possibly contradict each other. There never was any truth in science that would contradict any principle of revelation that God ever revealed to man." Another interesting discovery was the great debate on this topic between Joseph Fielding Smith, an Apostle, and B.H.Roberts. Also this one is on this web. This debate was brought before the first presidency. So for this I made my search. Probably my study is wrong. I am not an authority of the church or a learned man, a scientist or whatever else. Anyway I love to study the scriptures and try to find my answers. 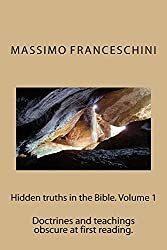 If the truth is the perfect knowledge of things as they were, as they are,and as they will be, and if the scriptures are the word of God and contain the whole truth, why shouldn't they have the answers to this intriguing topic? The biggest problem of all this topic is the great amount of fossils and their dating. Scientists maintain that it is not possible to affirm that the earth was created from nothing about 6.000 years ago. Therefore those fossils are proof that living beings were on the earth before the creation stated in the Bible. We can't discuss the dating system, because the difference is not just a millennium, but millions of years. To say that the scientists are wrong would be like saying that they (scientists) are imbecile. One of the first keys of helping in this context are the explanations that Joseph Smith gave just before he died. He never supported the idea that earth was created from nothing, as he explained this during the King Follet's talk. When we begin to understand to come to him he begins to come to us. When we are ready to come to him he is ready to receive us. Learned Doctors tell us God created the heavens and earth out of nothing. They account it blasphemy to contradict this idea and will call you a fool. The Bible says He created the world. They infer that it must be out of nothing. The word "create "came from the word "Barau ".It means to organize, same as man would use to build a ship—hence we infer that God had materials to organize from—chaos—chaotic matter.—elements had an existence at the time of the creation.. The pure pure principles of elements are principles that never can be destroyed. They may be organized and re organized,but not destroyed. The view of the Prophet on this subject of creation is abundantly sustained by men of learning subsequent to his time. The Rev. Baden Powell, of Oxford University, for instance, writing for Kitto's Cyclopaedia of Biblical Literature, says: "The meaning of this word (create) has been commonly associated with the idea of 'making out of nothing.' But when we come to inquire more precisely into the subject, we can of course satisfy ourselves as to the meaning only from an examination of the original phrase." The learned professor then proceeds to say that three distinct Hebrew verbs are in different places employed with reference to the same divine act, and may be translated, respectively, "create," "make," "form or fashion." "Now," continues the Professor, "though each of these has its shade of distinction, yet the best critics understand them as so nearly synonymous that, at least in regard to the idea of making out of nothing, little or no foundation for that doctrine can be obtained from the first of these words." And, of course, if no foundation for the doctrine can be obtained from the first of these words—viz., the verb translated "create," then the chances are still less for there being any foundation for the doctrine of creation from nothing in the verb translated, "made," "formed," or "fashioned." Professor Powell further says: "The idea of 'creation,' as meaning absolutely 'making out of nothing,' or calling into existence that which did not exist before, in the strictest sense of the term, is not a doctrine of scripture; but it has been held by many on the grounds of natural theology, as enhancing the ideas we form of the divine power, and more especially since the contrary must imply the belief in the eternity and self-existence of matter." Dr. William Smith's great dictionary of the Bible (Hackett edition, 1894) has no article on the term "create" or "creation," but in the article "earth" we have reference to the subject, and really an implied explanation as to why this work contains no treatise on "create" or "creation." "The act of creation itself, as recorded in the first chapter of Genesis, is a subject beyond and above the experience of man; human language, derived, as it originally was, from the sensible and material world, fails to find an adequate term to describe the act; for our word 'create' and the Hebrew bara, though most appropriate to express the idea of an original creation, are yet applicable and must necessarily be applicable to other modes of creation; nor does the addition of such expressions as 'out of things that were not,' or 'not from things which appear,' contribute much to the force of the declaration. The absence of a term which shall describe exclusively an original creation is a necessary infirmity of language; as the events occurred but once, the corresponding term must, in order to be adequate, have been coined for the occasion and reserved for it alone, which would have been impossible." "There was once universally current, a notion that things could vanish into absolute nothing, or arise out of absolute nothing. * * * The current theology, in its teachings respecting the beginning and end of the world, is clearly pervaded by it. * * * The gradual accumulation of experiences, has tended slowly to reverse this conviction; until now, the doctrine that matter is indestructible has become a commonplace. All the apparent proofs that something can come of nothing, a wider knowledge has one by one cancelled. The comet that is suddenly discovered in the heavens and nightly waxes larger, is proved not to be a newly-created body, but a body that was until lately beyond the range of vision. The cloud which in the course of a few minutes forms in the sky, consists not of substance that has begun to be, but of substance that previously existed in a more diffused and transparent form. And similarly with a crystal or precipitate in relation to the fluid depositing it. Conversely, the seeming annihilation of matter turn out, on closer observation, to be only changes of state. It is found that the evaporated water, though it has become invisible, may be brought by condensation to its original shape. The discharged fowling-piece gives evidence that though the gunpowder has disappeared, there have appeared in place of it certain gases which, in assuming a larger volume, have caused the explosion." Robert Kennedy Duncan (1905), in his New Knowledge says: "Governing matter in all its varied forms, there is one great fundamental law which up to this time has been ironclad in its character. This law, known as the law of the conservation of mass, states that no particle of matter, however small, may be created or destroyed. All the king's horses and all the king's men cannot destroy a pin's head. We may smash that pin's head, dissolve it in acid, burn it in the electric furnace, employ, in a word, every annihilating agency, and yet that pin's head persists in being. Again, it is as uncreatable as it is indestructible. In other words, we cannot create something out of nothing. The material must be furnished for every existent article. The sum of matter in the universe is x pounds,—and, while it may be carried through a myriad of forms, when all is said and done, it is just—x pounds.—Note by Elder B. H. Roberts. "The elements are eternal, and spirit and element inseparably connected receive a fullness of joy. * * * The elements are the tabernacle of God; yea, man is the tabernacle of God, even temples." Another interesting key is found in an epistle written by W.W. Phelps to William Smith. At this point is interesting to note that even though there is a discrepancy of time between the 4.5 million and the 2.5 million, here declared from W.W. Phelps, that our church had from the very beginning the knowledge, by revelation, that the earth was millions of years old. For the discrepancy I'd say it is irrelevant for a simple reason: we have just this letter, just a quick note on the topic. Unfortunately the prophet couldn't explain anything more on the subject before he died. At this point we believe we have 3 important points to focus on. 1) The word "create" for the latter day saints means "Organize" not to create from nothing" This is in harmony with science. 2) The Church of Jesus Christ LDS is the only church to believe and support the idea that the earth is much older than 6000 years. Even this is in harmony with science. 3) The 3rd official declaration of the church, even though maintaining the idea of the fallen and the atonement, leaves a door open to evolution. Let's see how it is possible to reconcile those ideas. Genesis 1:1 In the beginning God created the earth and the heaven." No time was indicated. In the next verse we are told that the earth was "without form and void". It doesn't make any sense because it should have had a form , but if we use the words that Joseph Smith gave us, "barren and uninhabited" -we will have a better comprehension of the meaning of the verse. In fact at that time the earth was barren, there were no seeds in it, there was no vital form. We know that in the beginning God organized the matter and after that the first thing that He did was to CALL the Light. In fact it doesn't say that He created it, but simply "Be the Light" and the Light was. D&A is clear on this. And they give light to each other in their times and in their seasons, in their minutes, in their hours, in their days, in their weeks, in their months, in their years--all these are one year with God, but not with man. Since the Light is the means to organize the universe, is it strange to understand why Jesus made the worlds? He is truly the light of the world. It is no wonder that God called the Light to start the work. After this the Lord began to organize in a true sense, like an architect designing the area. To better focus His plan He divided the waters from the Heavens and the earth. At this point is interesting to note that just after the advent of the Light there began to be written day and night and for the first time.Also there is mentioned a "period of time" like "first day", but we have no idea if this day was 24 hours, one thousand years, or just a certain amount of time. This raises more interesting questions. What kind of light was this if the stars and the planets were only added on the fourth day? How could they have days and nights without stars, planets and so on? Like we have seen before this creative power probably was Jesus Christ. On the thirdth day the waters were gathered in just "one place". so we have just one continent. On the fourth day the "waters" created the birds and God the great animals of the waters. To all of those was given the commandment "to be fruitful and replenish the earth". On the fifth day the earth created the animals. All those things were created just for "mankind", that is, they were not the main reason of the work, but just something to be part of the stage to beatify the creation and to be useful to "man", or Son of God. Man presides on the whole creation. To be nurtured man has green grass and fruits. Animals just the green grass. We believe that all the animals and vegetables have a spiritual component like man. It is clear for me at this point that we have the proof that vegetables,like grass, are eaten and die to accomplish their functions. It is interesting at this point to note that Genesis 2:4 refers to the six periods regarding the creation mentioned in Genesis 1 declares. "IN THE DAY" is the proof that the six days are just an amount of time,with nothing classified. Anyway in the next verse there is a very interesting thing to note. "And every plant of the field before it was in the earth, and every herb of the field before it grew: for the LORD God had not caused it to rain upon the earth, and [there was] not a man to till the ground." At this point a question arises. If there was nothing on Earth, what is mentioned in the first chapter ,where did this happen and what is mentioned there? Anyway let me go ahead. This explanation is important, not only because it will clarify the reason why we have two different creations in Genesis but because this explanation comes by a new revelation in the last days. We learn from these 2 things, first that the first creation (spiritual) was in heaven and God put man to minister the garden. This last part is interesting because it is true that the vegetables were born spontaneously in the garden but the phrase "not yet a man to till the ground" lets us understand that if the garden was not cultivated it could decay, otherwise why should man "till the ground"? A sense of decadence implys degenerate and death. So we see that God gave to Adam and Eve the possibility to be immortal from the very beginning, but His goal was not accomplished.In fact in the same garden there was also the tree of knowledge of good and evil. To have immortality without knowledge of Good and evil would have been like to create immortal robots. Another question could be:"Why did God put Adam in the garden of Eden instead of somewhere else?" Eden means "pleasant" and we could say for sure that it was the first temple on earth. The temple is the house of God, the place in which God manifest Himself. 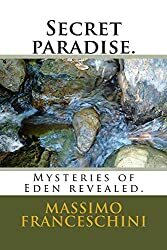 It is interesting to note that the garden was not Eden but it was just eastward in Eden, so the garden was a temple, where God was present and talking to Adam. Being the temple, the house of God and being Adam ,His offspring was it fair to put Him in His Home or not? Adam was surrounded from everything he needed. Animals could have access, in fact we see the presence of the serpent, but why do we not think that anywhere else in the world animals and plants could grow and die? Animals had the commandment to be fruitful and replenish the earth not just the garden of Eden. The position of Adam in the garden was because he was His offspring. It was not just a privilege, but a fair right. Paul it is speaking about mankind ,not animals. Another interesting clue here is "and death by sin". The animals could not and can not sin. The whole account in Genesis is about mankind, not animals or plants. They are not protagonists, they are on the stage but the plan of God is for mankind. Only man could partake of the tree of life. Like we have seen before God gave the eternal life from the very beginning to Adam, without knowledge this was useless. The ultimate goal was to have Adam and Eve back in his presence with the knowledge of good and evil. A God without knowledge can't be a God because the glory of God is intelligence. Man being offspring of God is like a child to his father in his maturity will be like him. Animals were and are just optional in the great plan of God , surely necessary like everything else, but not protagonists. Even animals had the commandment to be fruitful and replenish the earth, but they didn't need any knowledge to perform that, they have instinct. Animals have seasons to pair off, man could do that in any moment for any reason. God will not ask animals what they did by their power to procreate but he will ask mankind what use they did of that. This is the great difference between us and the other creations. Mankind is responsible because man knew from the very beginning (I mean after the fallen) the difference between good and evil. The ultimate goal in this life is to gain knowledge on the basis of the Gospel. We are supposed to win passions, wishes and everything else that is connected to good and evil. Knowledge of good and evil, connected to a celestial law is the instrument to develop the divinity of the mankind. God created mankind in His own imagine and likeness. Animals were created by waters. We know that God put the spirit in man but nothing is explained regarding animals. It is true that they have a spirit like vegetables too, but their purpose on the stage is very different. One is the hero the rest important but not essential. They have different origins, purposes and goals . It is necessary to understand that the path that they are walking is the same but the meaning is different. Animal are subdued to mankind by God Himself. Regarding this difference it is interesting to note that in the second creation (physical), of which we don't have any time specified, Adam is the first creation. After Adam came the animals, and then we have Eve. We don't know how much time pasted between the creation of the animals and Eve, but it is clear that in the meantime the animals could procreate, but could Adam have offspring without Eve? Surely not. In the meantime animals could die. We don't know either how long it took to have the fall. It could have been one day,it could have been millenniums, in the meantime animals continued to procreate and die. Isn't it weird that fossils had millions of years but the written history does not go back further than 6000 years? Genesis 3:21 gives us the proof of this reasoning. Before casting out Adam and Eve God made coats of skins. This is unbelievable if you are maintaining that there was no death in the garden. Adam is still there. God could have made the coats of wool, plastic or whatever else. Here we see that God wanted us to know that beside Adam and Eve there was death in the garden. I can't accept the idea that God killed these animals just to make a coat for Adam the disobedient. No, he was using what was already available there and also he gave them a great deal of knowledge about what death is and what it meant for them from that point on. Nobody knows how long Adam and Eve remained in the Garden while the whole creation was alive around them. "But of the tree of knowledge of good and evil, thou shalt not eat of it; for in the time that thou eatest thereof, thou shalt surely die. Now I, Abraham, saw that it was after the Lord's time, which was after the time of Kolob; for as yet the Gods had not appointed unto Adam his reckoning." I beleivethis is a very important passage, and many people have misunderstood it. "For in the time that thou eatest thereof" was according to the time of Kolob. Adam wouldn't die the same day in which he ate the fruit, but in the time of Kolob. In fact Adam didn't die until after 99 years later, but being the time of Kolob, 1000 years. He died in the day promised from the Lord, in fact what is declared from the Lord in the same verse is very significant:" For as yet the Gods had not appointed unto Adam his reckoning." So at that point the time reckoning intended for us was not in use, so the time of this could be whatever you like, because nobody knows. I mentioned before that spirits and plants were organized in the first creation spoken of in Genesis and the Bible gives us proof of it. We know that between the spiritual offspring of the Father there were a third who rebelled against Him during the presentation of the plan, just before the physical creation. But the earth was yet to be organized. This is proof that the first creation was spiritual and Satan (at that time Lucifer) was cast out before of the creation of Adam. Satan didn't have access to the garden because he was cast out from the presence of God, and for this particular reason he needed to be helped by the serpent.Does it make sense to reason that Satan needed some time to organize his troops and to find allies like the serpent? Sure it does. "Where wast thou when I laid the foundations of the earth? Declare, if thou hast understanding. Knowest thou [it], because thou wast then born or [because] the number of thy days [is] great." "Therefore, as the soul could never die, and the fall had brought upon all mankind a spiritual death as well as a temporal, that is, they were cut off from the presence of the Lord, it was expedient that mankind should be reclaimed from this spiritual death." "And Jesus increased in wisdom and stature, and in favor with God and man." KNOWLEDGE implies study and sacrifice. Turning back to the spiritual creation we have seen that it was done in six periods of time, not specified. While we have the physical creation that it is in Genesis 2 we don't have any idea regarding the time and the whole creation is reversed. Adam is the first one to appear on the stage, after him the animals but we don't have any clue regarding the amount of time here. The better explanation for this was to see the death of somebody else. I remember when I was a boy and I was asking this question, my dad told me:" I will show you" and when my great grandmother died he told me:"This is all about" I want to tell you I was really impressed, before that it was like people trying to explain to me the sea. I had a clue but when I was six and I went personally to the shore, I finally got the idea. Concluding I'd say that, according to the scriptures it is not possible to say how long it took any of the creations mentioned in the Bible. Thanks to Joseph Smith we know that the earth was not created from nothing but was organized. The tree of life was just for Adam and Eve. I don't know if you like my viewpoint and I don't know if this will help in somehow on this topic, but I really enjoyed studying this topic and I hope it will be the same for you, whatever idea you have.